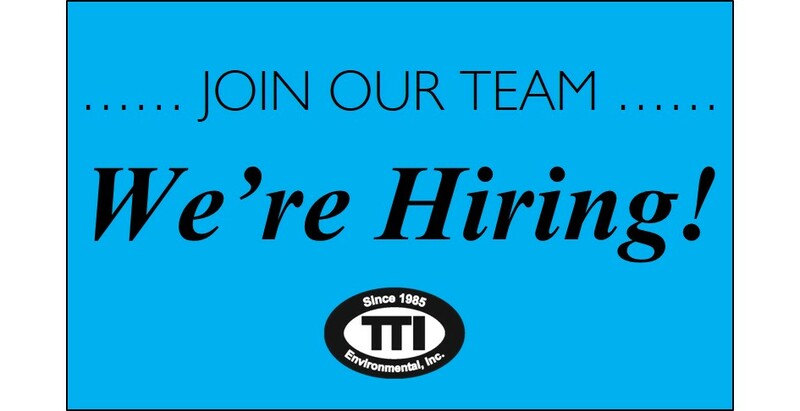 POSITION OPEN – Environmental Associate 1 | TTI Environmental, Inc.
TTI offers technical and management challenges, a collaborative team environment and the opportunity for growth. This position is an opportunity for the right individual to grow and settle into higher level positions. Competitive compensation, matching 401K retirement plan, certification/professional fees company paid, excellent health, dental and vision insurance, paid time off, credit union, tuition reimbursement program. Founded in 1985, TTI services government, industrial, commercial, financial and private clients nationwide and is headquartered in Moorestown, New Jersey. TTI is an Equal Opportunity Employer.